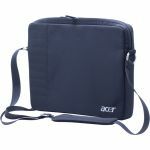 Acer's Trend line of notebook carry cases translate an active lifestyle into a line of notebook carry cases that allies convenient and intuitive storage, optimal protection of Acer notebooks and a hip design. The case is designed specifically for Acer notebooks sized from 14" up to 17.0" through a moving divider. 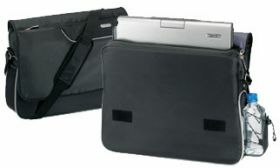 It uses closed cell foam technology to protect the notebook. 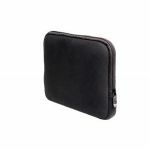 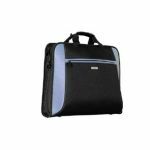 Features of this case include an external water bottle holder and small mesh pocket for instant access to small items, a zippered front pocket and back slip pocket for easy access to valuables or documents.